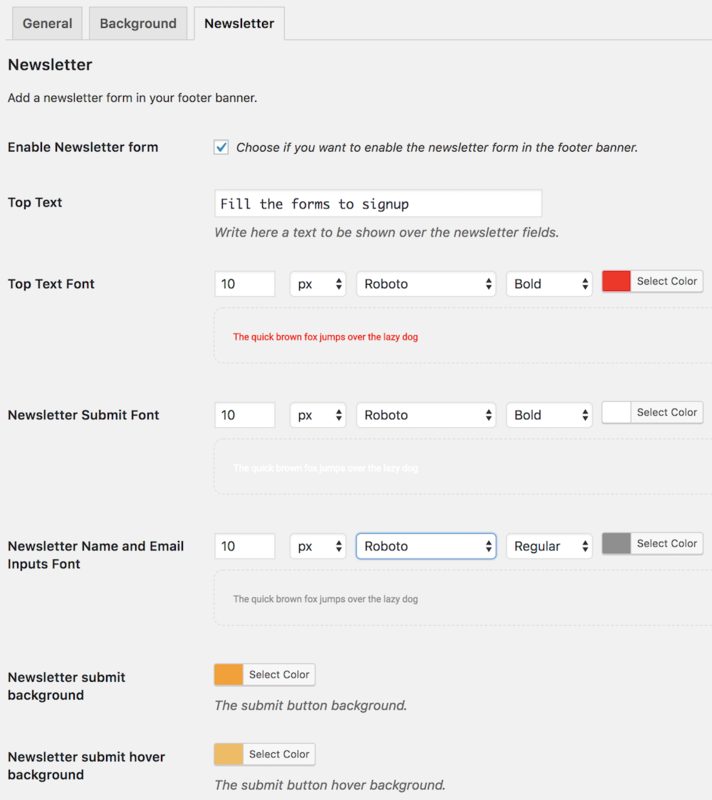 Under the tab Newsletter, you will find all options to configure the newsletter form of the footer banner. The options below allow you to link the newsletter form to an external service. You simply need to analyze the example form of the external service and then configure each detail in the option fields below.